Drs. Cecilia Shikuma, Dominic Chow, and Lishomwa Ndhlovu as well as Graduate Students attend and present at the Conference on Retroviruses and Opportunistic Infections (CROI) 2018 Conference in Boston, MA in the beginning of March 2018. They braved the cold and snowstroms to present our findings to an international audience. 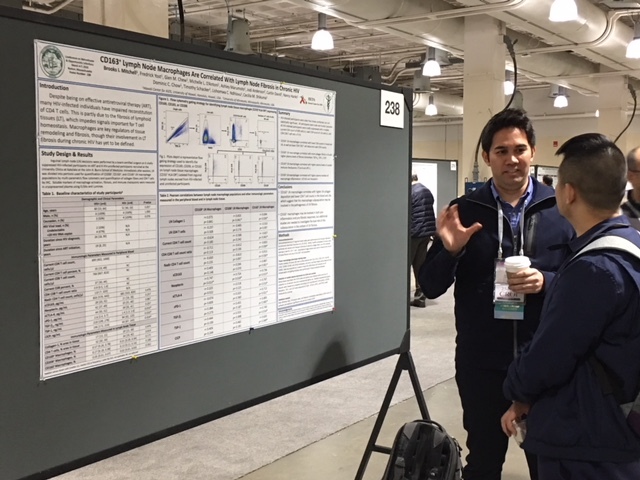 Brooks Mitchell, a PhD student, presents at CROI 2018. 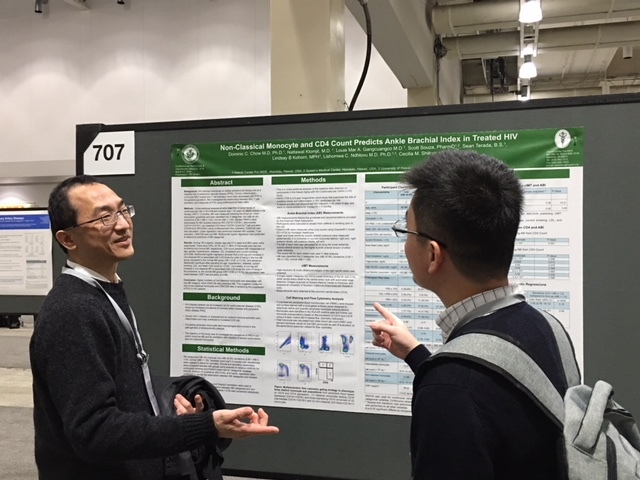 Dr. Dominic Chow, MD, MPH, presents at CROI 2018. Dr. Louie Mar Gangcuangco, research coordinator for HICFA, at CROI 2018.